Maximize your engineering investment by outsourcing the design-built of your next machine. Outsource the design and fabrication of your entire machine automation systems to our full-time Machine Design Team. 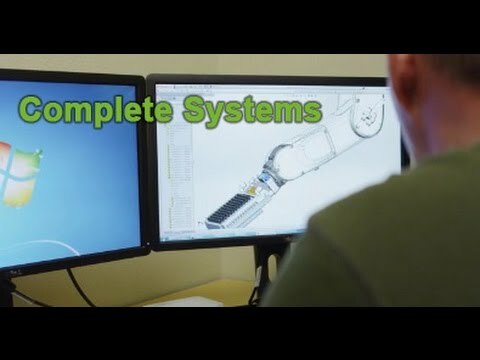 While some Systems Integrators attempt to take on any job, we provide this service as an extension of our “component” platform and will only integrate the products that we distribute. This spares the client both time and money by not having us obtain the knowledge with unfamiliar components. Maintain a competitive advantage in your marketplace with a full system solution with Olympus Controls. We act as the Automation Experts for many of our clients who otherwise can’t afford or don’t want a full-time in-house Automation Engineering staff. We work step-by-step with our clients to assess needs and design perfectly-tailored Automation solutions.